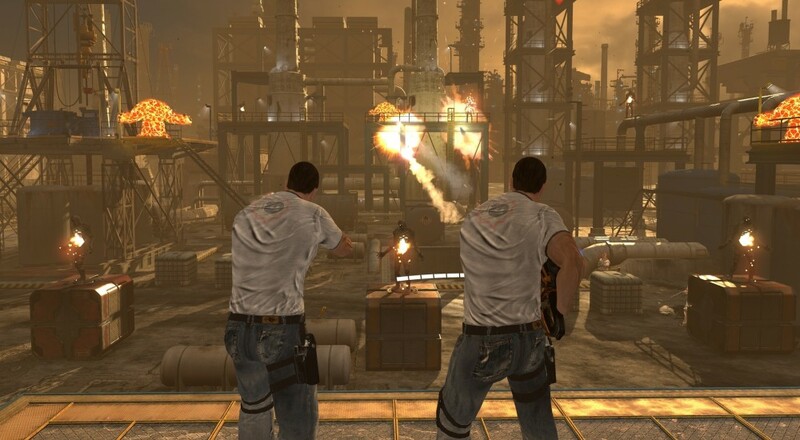 The Serious Sam series has always been co-op friendly, but it seemed like their move to virtual reality with Serious Sam VR: The Last Hope was going to be a single-player only affair. That is, until the co-op update landed last week. The VR FPS entered Steam Early Access back in October. Like many shooters in the VR space, this one had players in a pretty stationary position where they would shoot at enemies that ran at them. In other words, a "shooting gallery." With the co-op update, two players can now play through the entire campaign together online. A VR headset is required to play Serious Sam VR: The Last Hope, but the good news is that it supports both the Oculus Rift and the HTC Vive. What's more, the online co-op allows the two headsets to work together. So if you've got a Vive and your buddy has a Rift, then knock out the "this one is better" banter and enjoy shooting stuff together! Page created in 1.1661 seconds.